Yay! In Houaphanh a province in eastern Laos, temperature dropped well below freezing. Yes, Laos is currently experiencing snow! 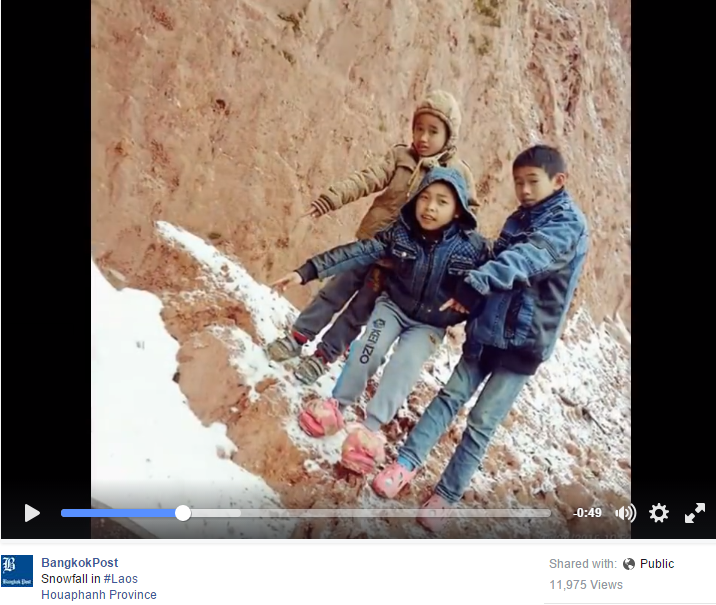 Bangkok Post shared a video of snowfall in Houaphanh on their Facebook page. Check it out below.